Six people were killed Wednesday in a landslide in northeast India, while heavy rain in the western city of Mumbai caused havoc after a plane skidded off the runway and became stuck in mud. Authorities in the remote Himalayan state of Sikkim said the six died when their home was swept away by a landside following a monsoon deluge. “Four others have been injured,” Sudhakar Rao, Sikkim deputy police chief, told AFP. 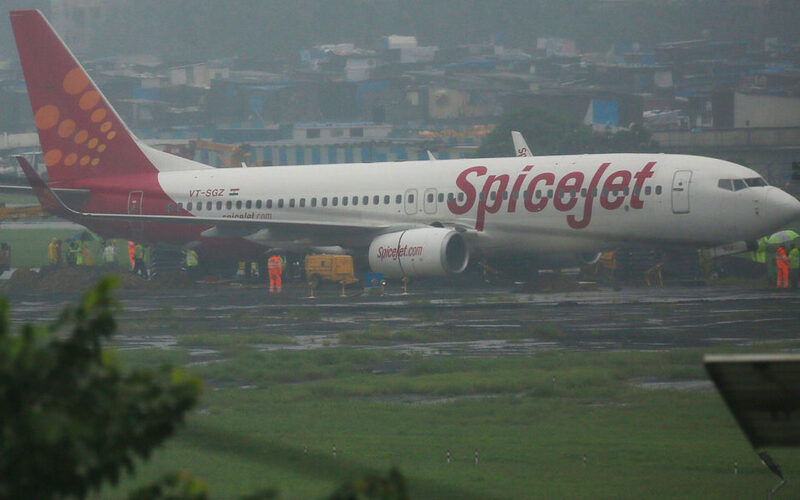 On the opposite side of India, dozens of flights were diverted from Mumbai after a SpiceJet plane overshot the runway late Tuesday amid torrential rain. All 183 passengers were safely evacuated from the flight from Varanasi after it “skidded off into the unpaved surface” due to wet conditions, the airline said in a statement. Schools and colleges also closed for the day as a precaution after severe monsoon rain late Tuesday and overnight led to fears of widespread flooding in India’s financial capital. Late last month ten people were killed when torrential rain deluged Mumbai, flooding homes and railway lines and shutting down the city for two days. Hundreds of people have died in floods and landslides in the four-month monsoon season that draws to a close later this month. In Mumbai 56 flights were diverted due to Tuesday night’s thunder and lightning storms. Several other flights were cancelled and travellers were told to expect delayed departures while the main runway remains closed. The plane was still stuck Wednesday evening. Officials had warned of flooding if heavy rain coincided with a high tide, expected around midday Wednesday, but India’s Meteorological Department said the worst had passed. Railway officials said trains were running normally but many residents decided not to take the risk, opting to work from home. The city’s famed dabbawallahs, who take hundreds of thousands of hot lunches from commuters’ homes to offices every day, cancelled their delivery service Wednesday. Mumbai is regularly deluged during the monsoon season. In 2005 around 950 millimetres (37 inches) fell on the city and surrounding areas in just 24 hours, killing around 500 people.